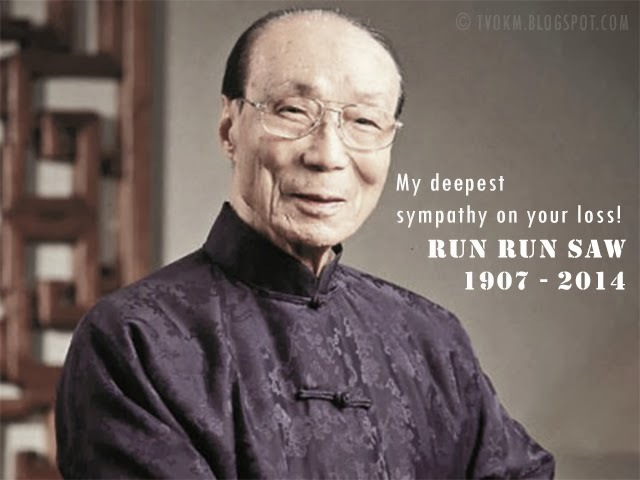 Pioneer Chinese film industry in the 20th century, Sir Run Run Shaw died at the age of 106 years and was born in 1907 in Ningbo, China, with the name of Shao Ren Leng. He died in his home at about 6:55 AM. Shaw had six brothers. He and his third brother migrated to Singapore to open Shaw organization, and later in 1930 they set up a Tianyi film company in Shanghai before opening a film studio at South Seas in Hong Kong. In the 1947 and 1972, Shaw Brothers with its film competitor Cathay Keris have dominated the Singapore film industry after they able to produced more than 20 films a year and that time also known as the Studio Era. Shaw is also the founder of the film studio Shaw Brothers with his brother Runme, started being involved in the film industry in Shanghai and Singapore since the age of 19. The 1960s and 1970s were the golden age of Shaw Brothers, where they successfully had a great influence on the development of the film industry and Western Asia. Personally, Shaw successfully produced over 360 films, made ​​up of classic movies, martial arts, until it reaches a film directed by Ridley Scott's Blade Runner. Now the Shaw Brothers library that stores 760 films is guarded by a company called Celestial Pictures, which based in Hong Kong. Shaw is also founded Television Broadcasts (TVB) in 1967, a station broadcasting non-performing in Hong Kong that is still one of the leading television stations in film production and talent management in the region. Before his death, Shaw spent a lot of time doing charitable activities. He also received recognition in three other fields of mathematics and life, astronomy and medical science.